On the fringes of the Northern Cape, nestled in between mountains, sheep farms and seemingly endless plains of desert shrubs, lies a tiny town. It is home to one main road (one of the only streets that is actually tarred), a population of 2030 (according to the sign), and the largest single optical telescope in the Southern hemisphere. Sutherland, with its notoriously low temperatures and starry attractions, has been a must-see for me for a while. While I'm not an astrophysicist, my fascination with space (coupled with my fondness for road trips and quirky villages) earned the town a spot on my travel to do list. After hearing so many stories about Sutherland, by people who travelled hundreds of kilometers to reach it, I was expecting a small town. It isn't small. It is minuscule. 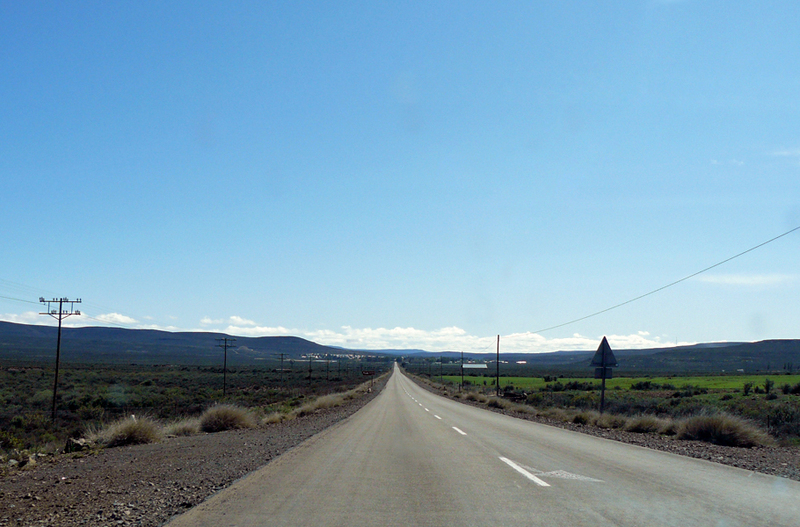 There is one road through the town, one road to the Southern African Large Telescope (SALT), and that is pretty much it. But it feels like an adventure. The main road is home to a church that was around before (and occupied during) the Boer War, a tiny golf course and a handful of gift shops, bars, a mini-mart and co-ops that supply the surrounding farms. No, it isn't a spot for artisan coffee to energize you after a long afternoon of curio shopping (some of the town's few restaurants only open over weekends or in the evenings). But Sutherland offers the chance to wander across the Karoo landscape, bird watch from a hiking trail or curl up with a book in front of the fireplace while you wait for the sky to darken so you have an opportunity to stargaze. Thanks to the tourist draw of SALT, there are quite a few accommodation options in town, as well as guest farms which are popular with city dwellers looking for an escape. Most are easily accessible from the main road (even to those without a 4x4 to tackle the dust tracks), and many come with the necessities for a wintery stay -- fire places and electric blankets (there is even cellphone signal). We stayed at Rooikloof Guest Farm, which was cosy and incredibly peaceful (except for the occasional 4am crow from a roaming cockerel). Since it was (very) early spring, the veld in the surrounding area was full of surprisingly vibrant miniature flowers, and the farm itself was full of dainty snowdrops, daffodils and so many blossoms it seemed like I'd gotten lost in a Disney movie. The main attraction, of course, lies 15 minutes out of town. We opted for a day tour of SALT, which allows you to view the structure's inner workings without losing feeling in your limbs in the freezing evenings (have I mentioned that its average temperatures have landed Sutherland the honour of being the coldest town in South Africa?). 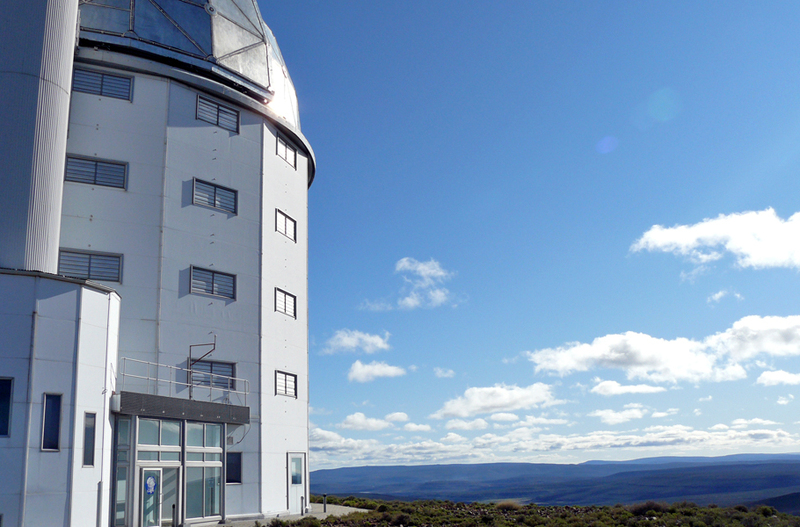 The tour also includes some time in the mini museum at the South African Astronomical Observatory field station, which explains the science behind star gazing with interactive exhibits and even a green screen photo booth which allows you to snap a photo in the Orion Nebula (if you so choose). Given the distant location and lack of light pollution, stargazing in Sutherland is incredible, even without a telescope. The Milky Way appears almost like a stripe in the sky, pronounced thanks to the light of immense clusters of stars that make up our galaxy. Local astronomers also offer guided stargazing sessions, where you can gaze through a telescope while being informed about exactly what you're looking at. Thanks to a lucky combination of timing and weather during our stay, we could clearly see Saturn through the telescope, with its distinct rings glowing impressively from light years away. Now that's worth standing outside in the dark for.